The French government announced it was freezing assets belonging to two suspected Iranian intelligence operatives, as well as others belonging to Iran's ministry of intelligence and security. France accused Iran's intelligence ministry on Tuesday of being behind a foiled plot to bomb an exiled opposition group near the French capital in a move that risks straining already complicated ties between Paris and Tehran. France's decision to take retaliatory measures and go public with the accusations was taken three months after the alleged plot to bomb a meeting of the People's Mujahedeen of Iran (MEK) in a suburb of Paris. "This extremely serious act envisaged on our territory could not go without a response," France's interior, foreign and economy ministers said in a rare joint statement. "In taking this decision, France underlines its determination to fight against terrorism in all its forms, particularly on its own territory." A French diplomatic source told AFP that the security forces had concluded that "the head of operations at the (Iranian) intelligence ministry ordered it". Iran immediately denied any involvement, as it did in July when the MEK accused it of being responsible. "If there is a misunderstanding... about a thing that does not exist, be it a conspiracy by others or a mistake, we can sit down and talk about it," Iranian foreign ministry spokesman Bahram Ghasemi told AFP in an interview Tuesday. The People's Mujahedeen was formed in the 1960s to overthrow the Shah of Iran and it continues to organise opposition to the current leaders of the Islamic republic who took power following the 1979 revolution. But a total of six people were then detained in coordinated raids by European police. One of the detained men was an Iranian diplomat based in Vienna who was stopped by German police. The diplomat, Assadollah Asadi, was targeted by the asset freezes announced by French authorities Tuesday, as well as Saeid Hashemi Moghadam, who the French diplomatic source said was head of operations at the intelligence ministry. Asadi is set to be extradited to Belgium to face trial, German authorities announced on Monday. "We deny the accusations and forcefully condemn the Iranian diplomat's arrest, and call for his immediate release," a statement from the Iranian foreign ministry said earlier Tuesday. The measures announced Tuesday come as French President Emmanuel Macron and his Iranian counterpart Hassan Rouhani are at odds on a host of issues. Macron, who hoped to improve ties with Tehran at the start of his presidency last year, has allied with Iran over the 2015 nuclear deal which limits the Islamic Republic's atomic programme. 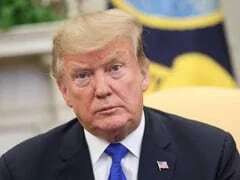 While US President Donald Trump has pulled out of the agreement and denounced it, Macron has been a vocal supporter and has worked to keep the accord alive despite US sanctions. 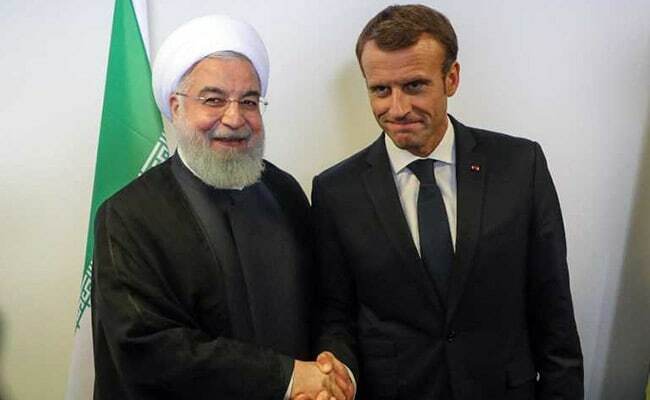 But Macron is at loggerheads with Rouhani over the wars in Syria and Yemen, in which Iran is a major player, and has raised concerns about the country's ballistic missile programme. The US considers Iran to be the world's biggest state sponsor of terrorism because of its links with a host of armed groups, particularly the powerful Hezbollah militia in Lebanon and Hamas in the Palestinian territories, as well as other networks in Iraq and Yemen. Iran has been blamed in the past for carrying out attacks in countries as far afield as Argentina, India and Thailand. The French diplomatic source said Iran was suspected of carrying out "several" assassinations of opposition figures in the European Union since 2015. Also Tuesday, around 200 French police launched a dawn anti-terror raid on one of the biggest Shiite Muslim centres in France, the Zahra Centre France, as well as the homes of its directors. Eleven people were questioned -- three of them arrested, security sources told AFP, including for the illegal possession of firearms. The Zahra Centre France was founded in 2009 by Yahia Gouasmi, a pro-regime activist and religious figure who has spoken in support of Hezbollah. Gouasmi is also the founder of the Anti-Zionist Party in France and an associate of controversial comedian Dieudonne M'bala M'bala, a convicted anti-Semite.